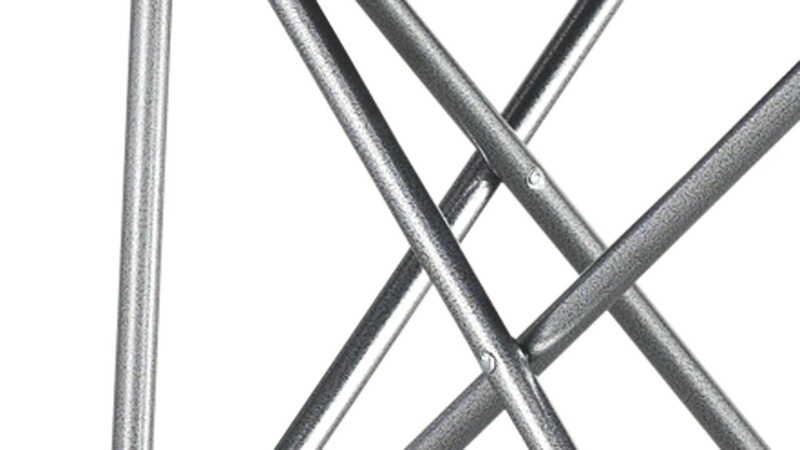 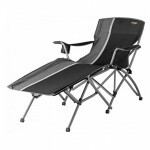 The Outwell folding furniture range has been updated for 2014 with a stunning new 'pixel stripe' pattern. 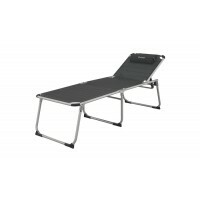 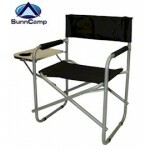 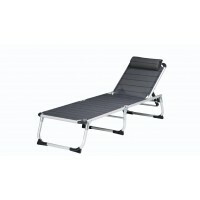 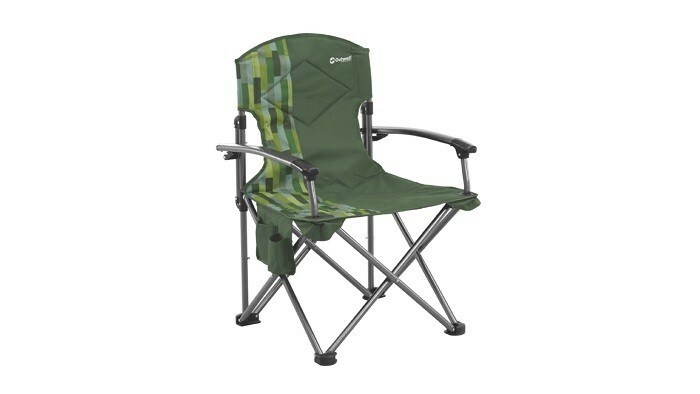 The Outwell Fountain Hills Camp Chair returns again featuring a powder coated hybrid steel/alloy frame - lightweight yet very sturdy - allied to a durable polyester canvas seat and back for total comfort. 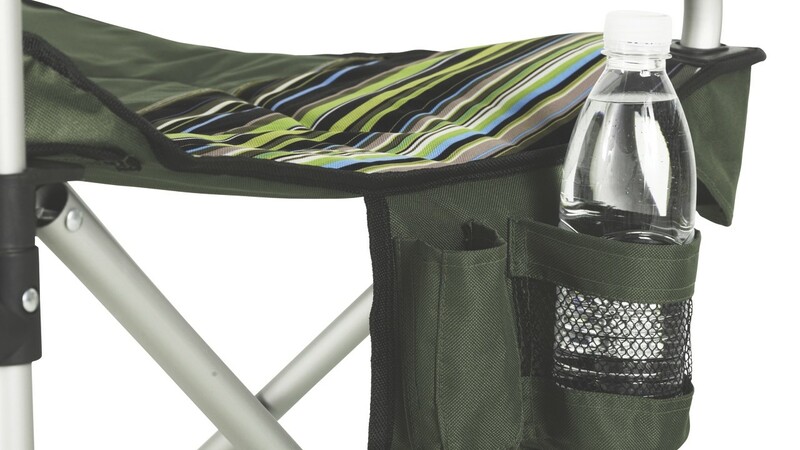 Open in seconds with no assembly required the Outwell Fountain Hills Camp Chairs are good for either indoor or outdoor use. 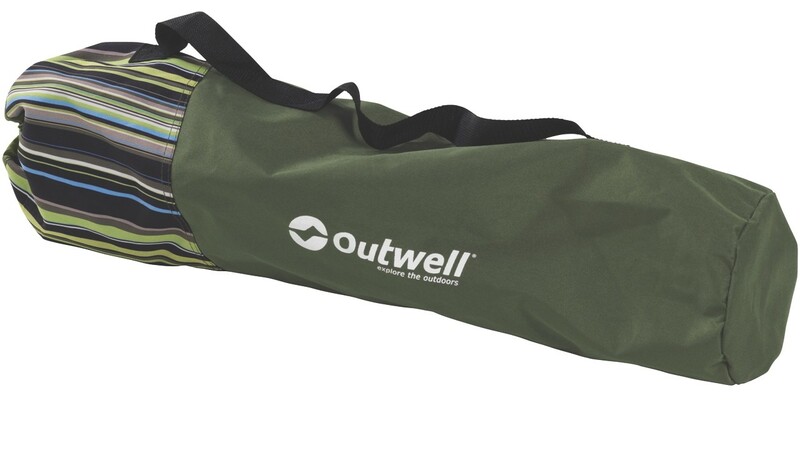 They pack down neatly into their own practical carry bag - supplied. 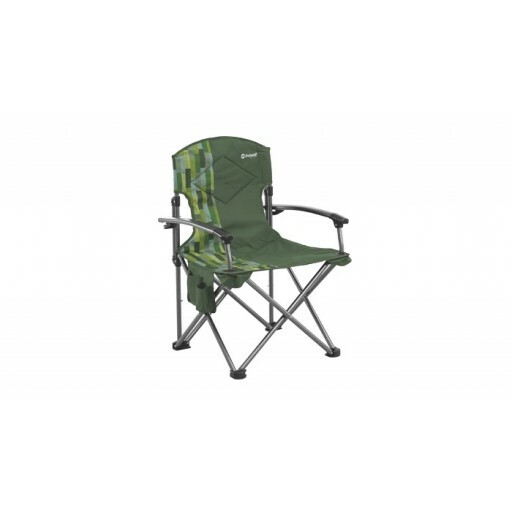 The cover fabric is made with a tough, durable 1200D polyester with Green 'pixel stripe' print, chosen to match most tents the Outwell tent range. 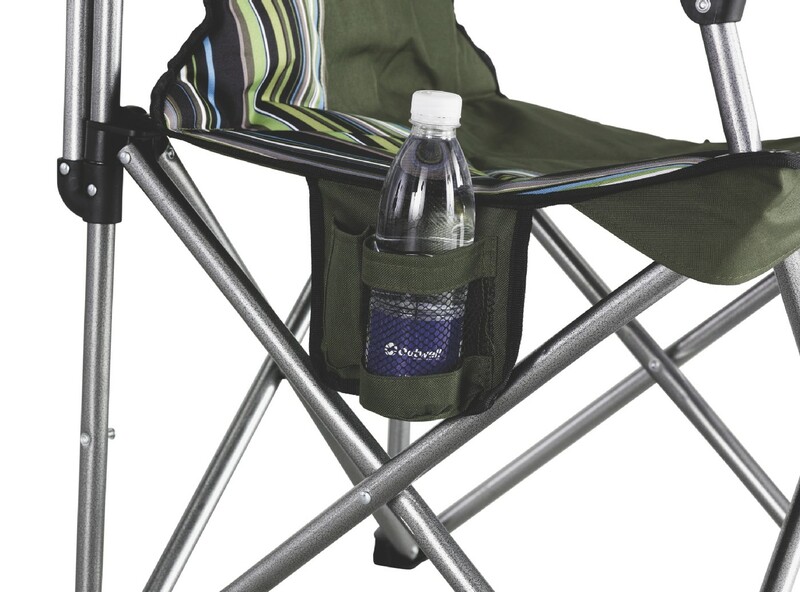 Unlike most folding chairs, the Outwell Fountain Hills Chair features solid, ergonomically designed arm rests for extra comfort plus a useful side pouch for all those little essentials (knotted hanky, beer, fags, Sporting Life, etc.). 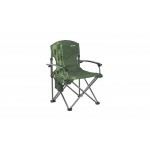 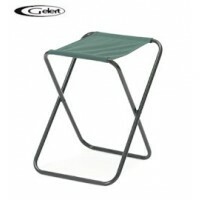 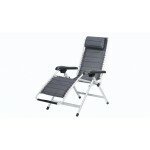 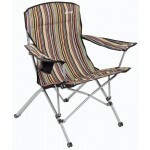 Outwell Fountain Hills Camp Chair - Green.